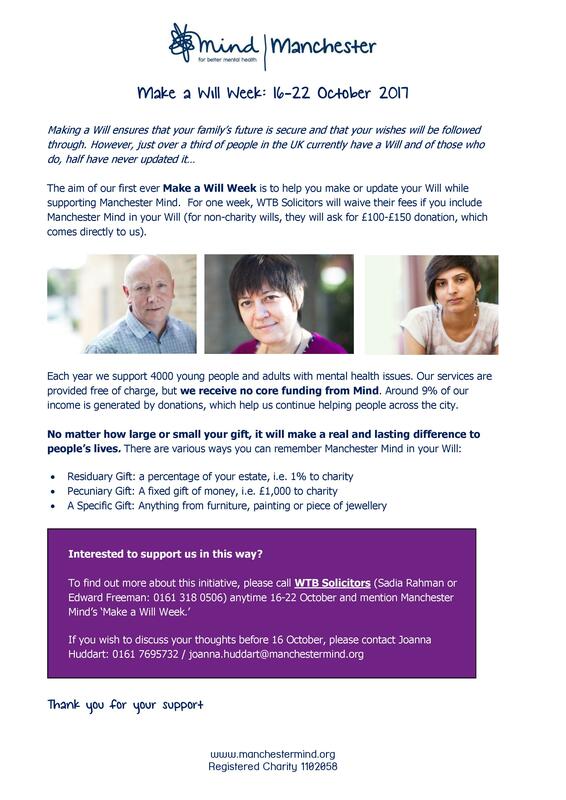 We have partnered up with Manchester Mind for “Make a Will Week 2017”. Here is the official poster from Manchester Mind and all the information you need to take part and help this incredible charity! Click here to contact us and speak with one of the participating Solicitors about making making a will, or if you’re on a mobile device, simply click here.